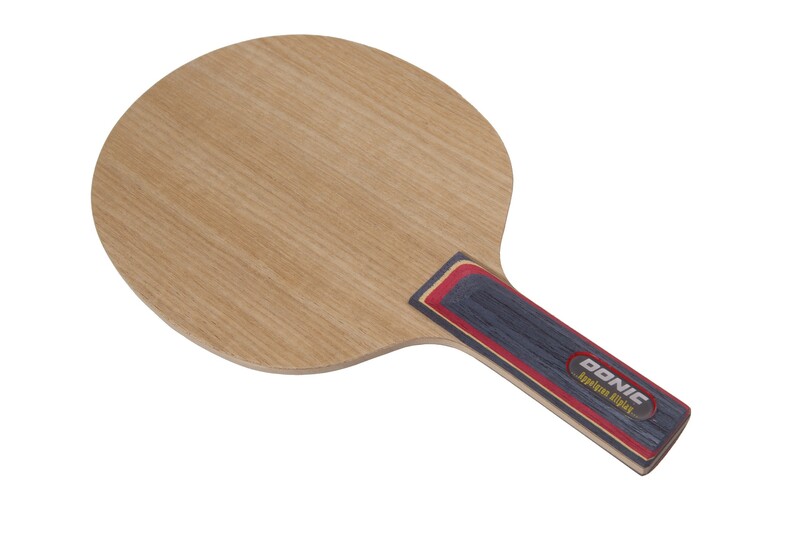 The Donic Appelgren Allplay is a highly sensitive allround blade manufactured in Sweden. Depending on the rubber used, it is suitable for all modern playing styles where ball control is vital. This blade excels at returning fast, spinny attacks. Fast delivery. / thanks a lot /. I've been playing for three weeks with the blade (I would describe myself as a all round player). Extremely pleasant sense of control when playing the ball. I bought this blade on the basis of the comments from the other people who bought this blade. Thanks a lot to these people, I also confirm their impression. It is my first blade, I'm happy with it, but very slow combined with Donic Coppa rubber. Great advice, great product and speedy service. Have recommended to many people already! Excellent blade, I opted for one weighing around 85 grams. It’s a perfect blade in that weight range. Controlled, very good speed, excellent for anything and everything. I recommend all beginners and intermediate players to not use carbon woods and stick to blades like Appelgren. If you want a slower one, choose a lighter version. A heavier one is for more speed. Read alot about user good review. A little pricey. ordered and tried it. Fixed on barricade blade. Excellence in control. Fantastic LP! Thanks to all the user who shared their experiences over this LP. Worth a try. COMPREI P MEUS ALUNOS INICIANTES E ESTAO AMANDO A MADEIRA, MUITO CONTROLE, MAS TEM VELOCIDADE QUANDO NECESSITA, SENTIMENTO MACIO E AGRADAVEL . I am a beginner and bought this blade due to all of the reviews. I typically use a bit of spin and play all around (def/off depending on opponent). I have gotten significantly better in a matter of weeks with this. 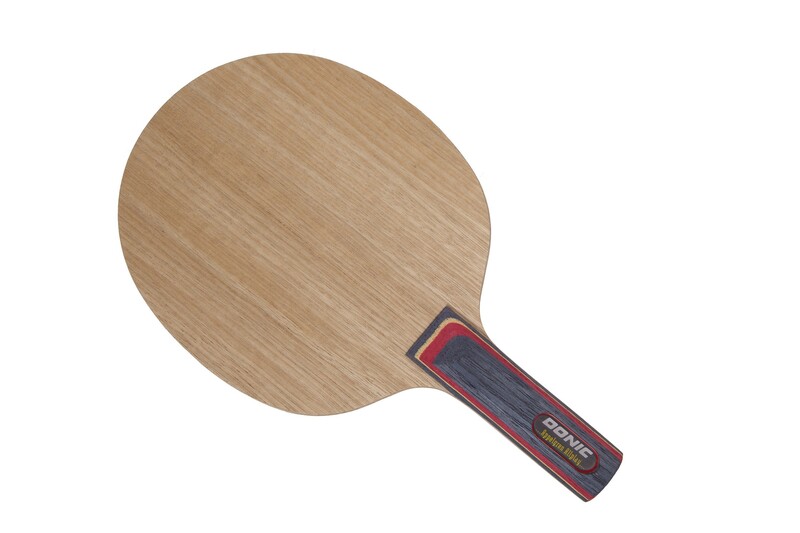 Was sent a different blade to what I had ordered in error,Dmitri was 1st class sent me the the correct blade straight away free off charge so I got 2 blades for the price off one.Dmitri was great and I would be more than happy to buy products from tabletennis.com again. I was extremely disappointed with this blade! It is maybe for kids and total beginners and that is also questionable!! Control, feeling and reliability. These are the best words for this blade. İt is unbelievable such a good blade for such a price ! Excellent blade for allround play. Provides wonderful control of play. - the ball does not go flying off the racket like carbon blades, so it does have a great dwell time. it is for recreational purposes, not meant for heavy and professional play. I am a beginner developing player, started using this blade (FL handle) with the LKT Pro XP/LKT Pro XT combo. After 3 months an opportunity appeared and I switched to Tibhar 1Q Sound rubbers, same blade. Great combo for me. Excellent feeling of the ball, weight is also perfect for my level. I will continue using this setup, with 1QSound rubbers for at least another year. Thank you TT11 for the great service and delivery. Играю этой деревяхой в защите, шипы ОХ + гладкая. Контроль отличный, и пульнуть при необходимости можно. Очень удобная ручка(FL). an awesome blade that offers unbelievably high control with still enough speed for it level. Would recommend to use with faster rubbers if planned for a more aggressive game. Otherwise a perfect control blade. Highly recommended. Fast, precise attack and solid, controlled defence. Large sweet spot extending into the tip of the blade. Almost no vibration. Using it with LKT Rapid Speed on both sides - outstanding! I bought 2 of these. It's a classic and rightfully so. Great control and feel, maybe not the fastest but that's why it's an ALL blade. Fantastic option for a beginner's first blade. for a very competitive price. I used the free lacquering service and rubber- blade free assembly with Mark V rubbers. Both blades were perfectly assembled, excellent work and highly recommended if you're unsure assembling yourself. I would like to make a compliment to Dmitry. He noticed I made two almost identical orders and made an effort to ask if that wasn't a mistake. It wasn't but it could have easily been. I really appreciate this level of alertness and service. Good racket DONIC. Caters for both beginners and players who like to exchange a lot of balls during the rally. No need to close both the paddle so that the ball does not fall off the table. Good job 11 TABLE TENNIS! 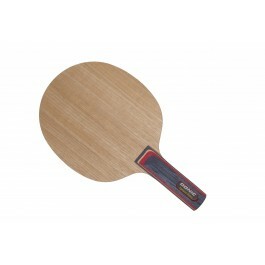 I use 64 TENERGY the backhand and the ball does not fall off the table at all! Exceptional! On the right use TENERGY 05 FX. Speed ​​drive and smash against well-aimed loop drive! You cannot go wrong with this blade. The result of this blade is proportionate to the effort you put in your strokes. Make sure you select the right rubbers as that's really important. I am using a Tibhar 5Q(2.1) on Forehand and Tibhar Aurus (2.1) on Backhand. The resultant setup is slightly on the offensive but still very well controllable. Good blade for all play game, light, good for all the strokes. This is an allround blade. Gives you a lot of control, all strokes are very controllable with it.